This week has been a very busy and productive week. 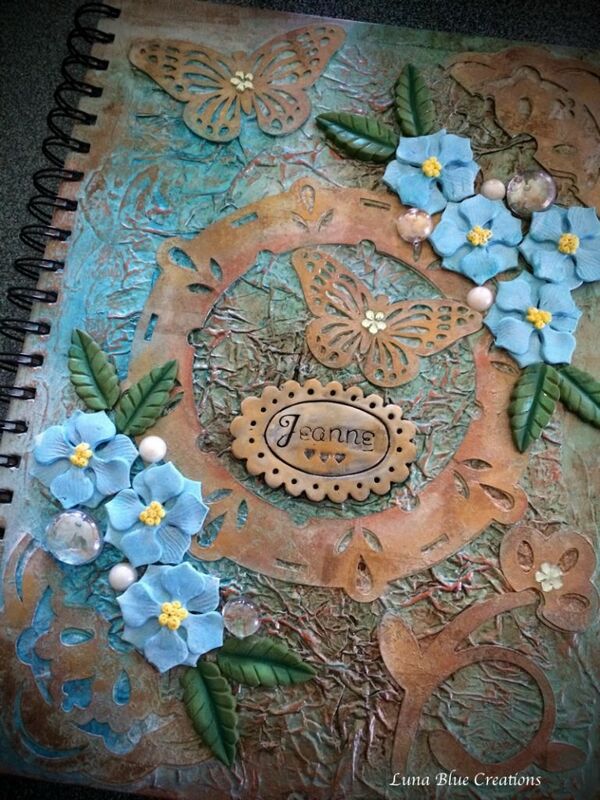 I was so inspired to create new mixed media designs. 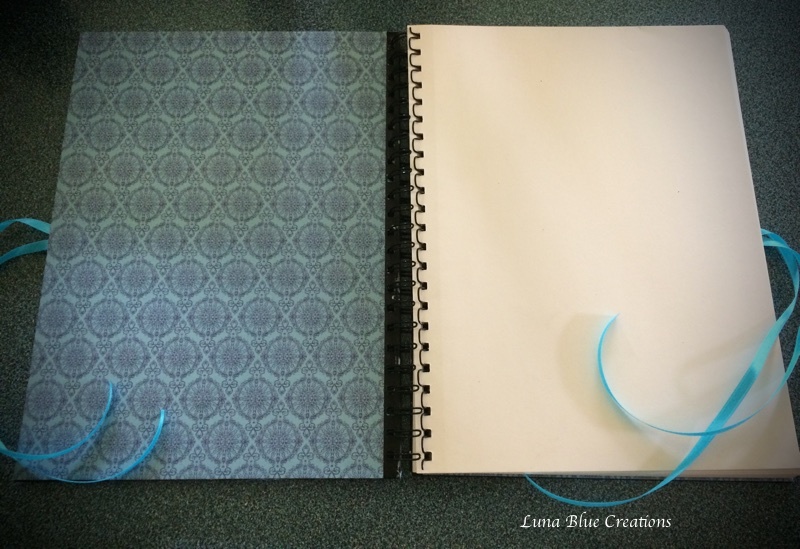 This one is a spiral bound sketchbook (11.5 x 8.5 inches). It has a lot of textures and paint layers. I wanted to create shades of blue and green and I’m pretty happy I nailed it. 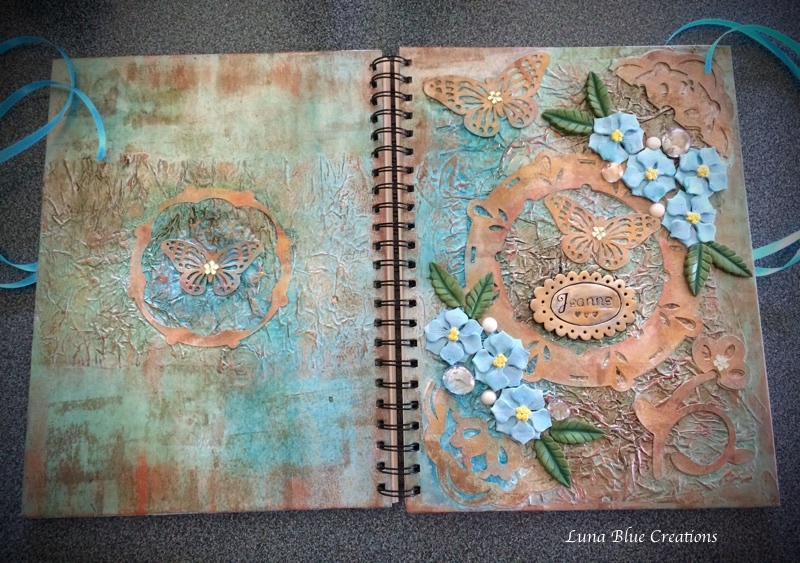 Paint layers are gesso, metallic blue and metallic green acrylic paint, Lindy stamp gang spray, viva inca gold and Tim Holtz distress stamp. 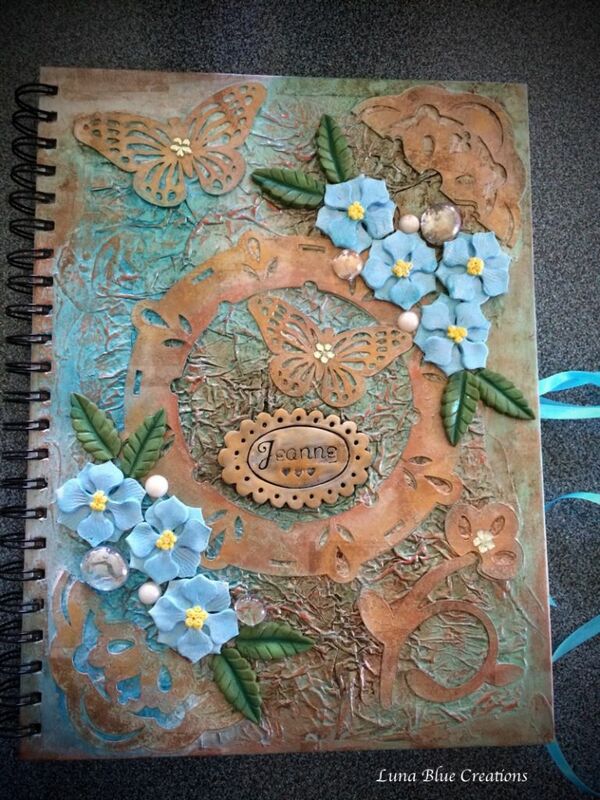 Texture used are crumpled parchment paper and cricut cut outs painted with Tim Holtz distress paint “olive”. Flowers and leaves are made of polymer clay. Other embellishments are glass cabochons and accent pearls. I also custom covered the inside of the sketchbook and added ribbons to secure and tie sketchbook cover and it also creates a nice accent.